Savvy Spending: Menchie's: B1G1 Free Frozen Yogurt on 2/6! Menchie's: B1G1 Free Frozen Yogurt on 2/6! 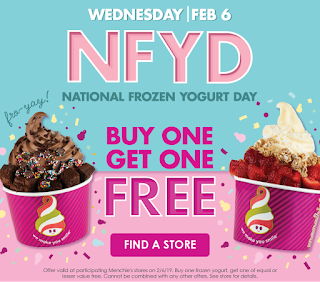 National Frozen Yogurt day is next Wednesday, 2/6, and Menchie's is celebrating with a great deal! 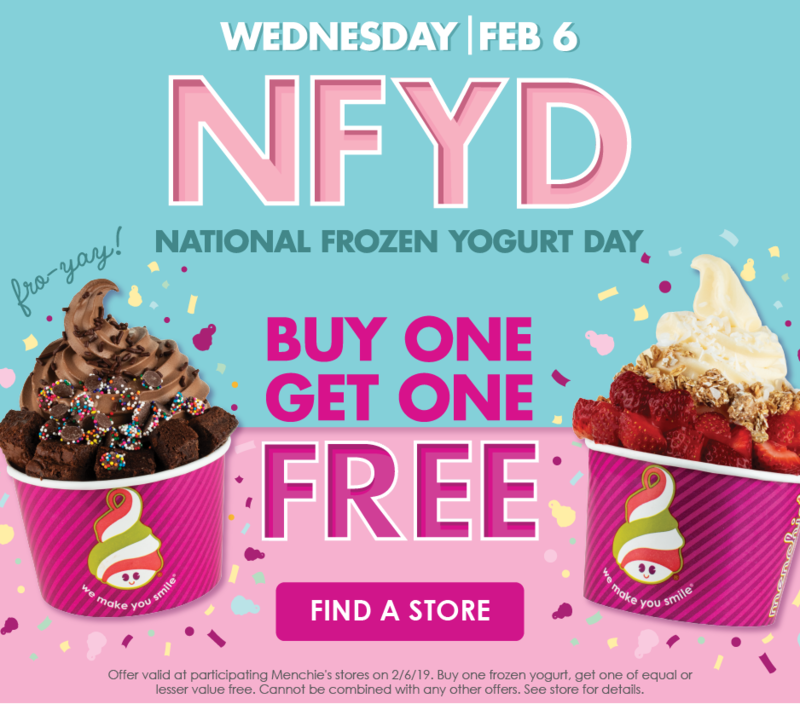 You can BUY ONE Frozen Yogurt and GET ONE FREE!